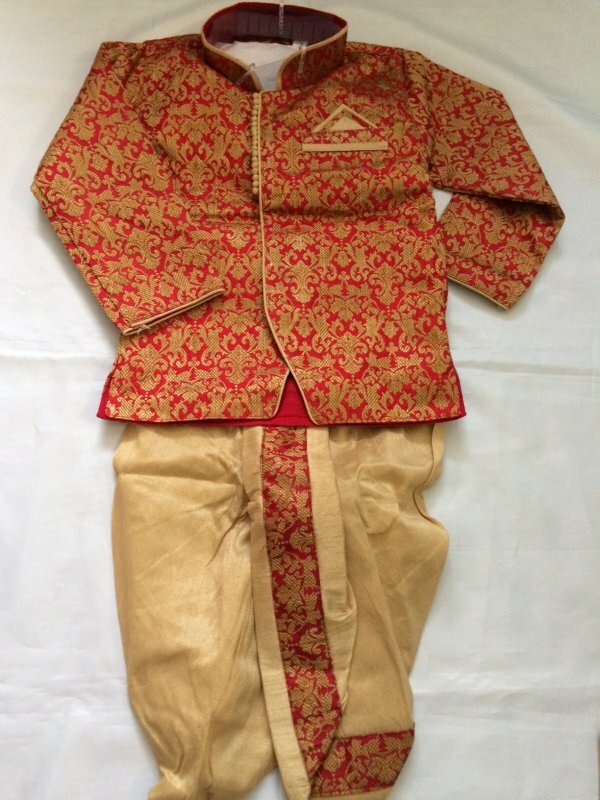 Exquisite dhoti kurta & pajama set for infants & toddlers in beige and red color. The 2 in 1 outfit is a 3 piece set consists of a kurta, dhoti and pajama. 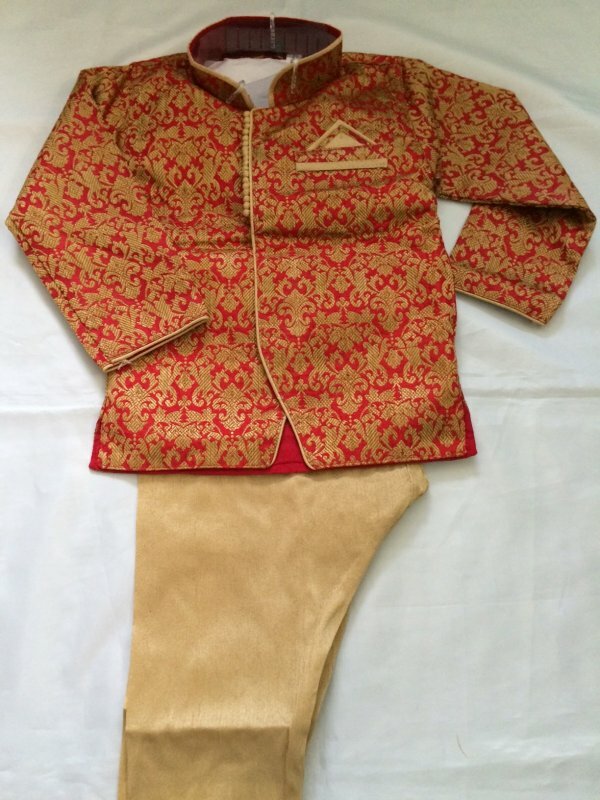 The beige & red jacket style kurta has traditional design. The kurta has an inner fabric lining for comfort. 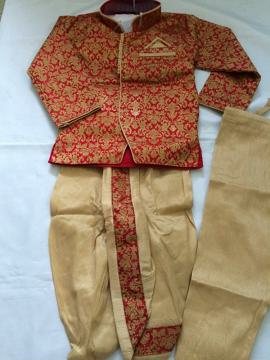 The dhoti is beige in color with a red stripe, matching the kurta, in the front. Both the dhoti and the pajama have elastic waistbands. Perfect for birthday parties, portraits and festival! Sizes available for newborns & infants up to 5 year old. This item in Dhoti Kurta for Kids category was first added to our catalog on 09-05-2016. Buy Readymade Beige Red Dhoti Kurta Pajama For Infants/Toddler, sold & shipped by desiVastra.com where you can shop online for Traditional Dress for Baby Boy & Girl, Indian ethnic Wear for Kids. This Dhoti Kurta collection has been tagged as Bengali Style Dhoti Kurta, Kids Indian Costume, Kids Wear, Children Apparel, Boys Clothing, Children Indian Outfit Online.